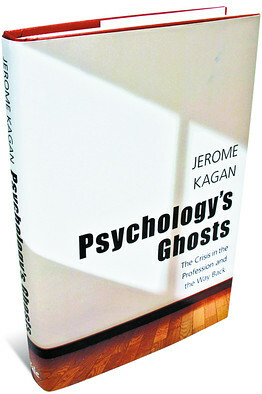 The Wall Street Journal reviews Jerome Kagan's new book, Psychology's Ghosts: The Crisis in the Profession and the Way Back - a series of four meditations on big issues in psychology: Missing Contexts, Happiness Ascendant, Who Is Mentally Ill? and Helping the Mentally Ill. This review is quite positive and supportive - I look forward to reading this new book. We see an area in the brain 'light up' when we think about a topic, and assume we know something about thought. But what, exactly? In his long and distinguished career, Jerome Kagan, now emeritus professor of psychology at Harvard, has written numerous books for general audiences on major discoveries and controversies in his field, particularly in his specialty of child development. In works such as "Three Seductive Ideas" (1998), he developed a style of discussing three or four different topics in a series of essays, interweaving each with data and observations across psychology, history and culture, and tying them together with an overarching theme. Or not. Mr. Kagan's latest effort, "Psychology's Ghosts," might be called "Four Seductive Ideas," since it consists of his assessment of four problems in psychological theory and clinical practice. The first problem is laid out in the chapter "Missing Contexts": the fact that many researchers fail to consider that their measurements of brains, behavior and self-reported experience are profoundly influenced by their subjects' culture, class and experience, as well as by the situation in which the research is conducted. This is not a new concern, but it takes on a special urgency in this era of high-tech inspired biological reductionism. If we can find which area of the brain lights up when we think about love or chocolate or politics, we assume we know something. But what, exactly, do we know? Sometimes less than we think. "An adolescent's feeling of shame because a parent is uneducated, unemployed, and alcoholic," Mr. Kagan writes, "cannot be translated into words or phrases that name only the properties of genes, proteins, neurons, neurotransmitters, hormones, receptors, and circuits without losing a substantial amount of meaning"—and meaning is as fundamental to psychology as genes are to biology. Many psychological concepts, he notes, including fear, self-regulation, well-being and agreeableness, are studied without regard to the context in which they occur—with the resulting implication that they mean the same thing across time, cultures and content. They do not. In his second essay, "Happiness Ascendant," Mr. Kagan virtually demolishes the popular academic effort to measure "subjective well-being," let alone to measure and compare the level of happiness of entire nations. No psychologist, he observes, would accept as reliable your own answer to the question: "How good is your memory?" Whether your answer is "great" or "terrible," you have no way of knowing whether your memory of your memories is accurate. But psychologists, Mr. Kagan argues, are willing to accept people's answer to how happy they are as if it "is an accurate measure of a psychological state whose definition remains fuzzy." Many people will tell you that having many friends, a fortune or freedom is essential to happiness, but Mr. Kagan believes they are wrong. "A fundamental requirement for feelings of serenity and satisfaction," Mr. Kagan says, is "commitment to a few unquestioned ethical beliefs" and the confidence that one lives in a community and country that promote justice and fair play. "Even four-year-olds have a tantrum," he notes, "if a parent violates their sense of fairness." His diagnosis of the "storm of hostility" felt by Americans on the right and left, and the depression and anomie among so many young people, is that this essential requirement has been frustrated by the bleak events of the past decades. War, corruption, the housing bubble and the financial crisis, not to mention the fact that so many of those responsible have not been held accountable, have eroded optimism, pride and the fundamental need to believe the world is fair. In the third and fourth essays, "Who Is Mentally Ill?" and "Helping the Mentally Ill," Mr. Kagan turns to the intransigent problems of psychiatric diagnosis and treatment. The Diagnostic and Statistical Manual of Mental Disorders is going ungently into its fifth edition, accompanied by a cacophony of complaints from inside and outside the psychiatric establishment. The DSM "regards every intense bout of sadness or worry, no matter what their origin, as a possible sign of mental disorder," Mr. Kagan laments. But "most of these illness categories are analogous to complaints of headaches or cramps. Physicians can decide on the best treatment for a headache only after they have determined its cause. The symptom alone is an insufficient guide." Nonetheless, the DSM is primarily a collection of symptoms, overlooking the context in which a symptom such as anxiety or low sexual desire occurs and what it means to an individual. It might mean nothing at all. What it means to an American might mean nothing to a Japanese. The same one-size-fits-all approach plagues treatment: "Most drugs can be likened to a blow on the head," Mr. Kagan observes—they are blunt instruments, not precisely tailored remedies. Psychotherapy depends largely on the client's belief that it will be helpful, which is why all therapies help some people and some people are not helped by any. No experience affects everyone equally—including natural disasters, abuse, having a cruel parent, losing a job or having an illicit affair—though many therapists wish us to believe the opposite. Mr. Kagan acknowledges that his critiques are not new, that others have made the same arguments—about the failure to consider cultural influences, about the exasperating DSM, about the flaws in happiness research and the negative side of positive psychology, about the medicalizing of normal problems in living. Yet he makes his case persuasively and readably, with extensive empirical support. For a public enamored of looking inward to genes, brain circuits and medications to find solutions to the problems that plague us privately and politically, the message that most of those solutions require us to look outward—to culture, class and context—can't be repeated often enough. Ms. Tavris, a social psychologist, is co-author, with Elliot Aronson, of "Mistakes Were Made (But Not by Me)." A version of this article appeared April 26, 2012, on page A13 in some U.S. editions of The Wall Street Journal, with the headline: Psychology and Its Discontents. There are multiple mechanisms at play in transgenerational trauma (also sometimes called intergenerational trauma), including epigenetics, intersubjective experience with caregivers, interpersonal experience with caregivers, family culture and beliefs, and sometimes abuse or neglect, among others. This lecture is by Jacek Dębiec, given during the 15th Kraków Methodological Conference - The Emotional Brain: From the Humanities to Neuroscience and Back Again. The main organizer of the conference was Copernicus Center for Interdisciplinary Studies. The April edition of The Brain Science Podcast featured another conversation with Christof Koch, one of the big names in neuroscience research. His most recent book is Consciousness: Confessions of a Romantic Reductionist (2012), and he is probably best known for The Quest for Consciousness: A Neurobiological Approach (2004). Post comments on the BSP Facebook Fan Page, in our Goodreads Discussion Group, or the BSP Google+ page or add comments to the BSP Guest Book. I would love to hear from you. You can send me email at gincampbell at mac dot com. I often encourage my clients (both therapeutic and personal training) to make time to volunteer if at all possible. There is something very healing about giving of ourselves to serve others. I just had this conversation with a client the other day. So it seems a bit of synchronicity that Louise Gallagher sent me an email to let me know about her talk at TEDxCalgary on how volunteering saved her life. She is the author of The Dandelion Spirit (available through her blog). Louise Gallagher has a remarkable personal story that has turned tragic circumstances into a life filled with passion and joy. Her book The Dandelion Spirit was turned into a documentary for the Oprah Network and has touched people's lives across North America. Louise's work at the Calgary Drop-In Centre includes inspiring efforts like the development of the Possibilities Project that uses art in its many forms to keep people of the streets. She has the soul of a warrior poet and her story is transformative. Nice talk . . . . Sandra Kiume posted this at her Channel N blog at Psych Central. Perspective is essential to happiness, says Rory Sutherland. He gives examples of applied perspective and argues that the element of choice is what makes a situation more tolerable. Psychological factors should be added to mechanistic ideas in cost-benefit analyses. Things like train arrival clocks and traffic light timers have improved lives because they address human anxieties. People believe that a company that only sells one type of product is better than a company that sells a wide array of products, which means “Google is as much a psychological success as it is a financial one.” Economics and advertising often fail to understand that what something is, has value, he asserts. An interesting intellectual TEDxAthens Talk. This paper looks at the roles of love, war, and culture in the evolution of human culture. According to Pagano, all three are inter-related. The paper deals with evolution from the collective perspective - culture and institutions. Love, War and Culture have all played an important role in the evolution of human institutions and they have been characterized by complex relationships. War can select unselfish groups ready to sacrifice themselves for the love of their communities that they recognize to be culturally different from the others. At the same time, horizontal cultural differentiation cannot be taken for granted. Culture is the outcome of long evolutionary processes. It requires some human specific characteristics, including a large brain, that are likely to have been influenced by sexual selection and by the peculiar structure of human love affairs. Thus, if war may have generated love, also the reverse may be true: by favoring the development of human culture, love may have produced the conditions for war among culturally differentiated groups. In turn, war may have co-evolved with group solidarity only under the prevailing social arrangements of hunting and gathering economies. In general, human relations have been influenced by the prevailing features of the goods (private, public and positional) that have characterized production in different stages of history. They have been embedded in institutions involving very different levels of inequality, ranging from mostly egalitarian hunting and gathering societies to typically hierarchical agrarian societies and to wealth-differentiated industrial societies. The perspectives of the present-day knowledge-intensive economy can also be seen through the same institutional approach to human evolution. The different nature of contemporary production processes involves a new set of alternative possible arrangements that have different implications for social (in)equality and different capabilities to satisfy basic human needs. 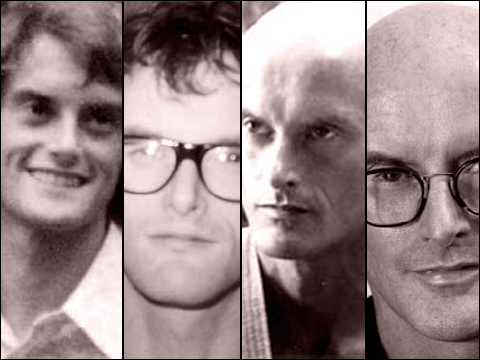 Over at Love of All Wisdom, Amod Lele offers a philosopher's take on Ken Wilber's shift from modernism to post/modernism in the transition from Wilber-4 to Wilber-5. Lele uses "the term “post/modern”, to emphasize the important respects in which the two are the same." He offers a different perspective than most integral folk who accept without question that Wilber is post-postmodern, as he himself would seem to claim - and they might also claim that Lele is not grasping Wilber's move beyond postmodern. He plans a couple of follow-up articles: "I have at least two problems with this approach: one empirical and sociological, one deeper and more philosophical. I will explore both in the weeks to come." I will be curious to see where he goes. I’ve recently been writing an article on Ken Wilber’s thought, and have come to realize just how much his ideas have changed over the past ten years. His readers, and increasingly he himself, have come to characterize this as a change from a fourth phase of his thought (“Wilber-4″) to a fifth phase (“Wilber-5″). The changes can be hard to spot because the new view is detailed in only one book (Integral Spirituality); the rest of it is found online, in excerpts from a long forthcoming volume. What is most striking in the change from Wilber-4 to Wilber-5 is its post/modernism. Wilber has moved much closer to a postmodern view in which there are only perspectives, which bring worlds into existence rather than discovering them; he has also become more modernist, giving much more prominence to an idea of cultural evolution where the modern age supersedes those that came before. But as David Harvey has noted, the continuities between modernism and postmodernism can be more significant than their self-proclaimed differences. (In this discussion I will repeatedly use the term “post/modern”, to emphasize the important respects in which the two are the same.) In this case, premodern traditions play an ever smaller role. Wilber’s earlier thought, in looking at the traditions of the premodern world, had tended to incorporate only mystical experience, but mystical experience still got the trump card – it was able to tell us what ultimate reality is. In Wilber-5, mystical experience needs to be kept in its place, without any sovereignty over other kinds of knowledge. Where Wilber’s earlier thought was all about the relationship between Ascent and Descent, Ascent now takes a smaller role as only one or two perspectives out of many, the rest being Descending and post/modern. There is a new Philosophy Carnival up over at the Blog of Noah Greenstein - there are a lot of cool articles in the collection, so go check it out. In addition, Bookforum's Omnivore posted a collection of philosophy links yesterday, including a new issue of the Open Journal of Philosophy (open access articles, with some good stuff in this issue). A new issue of Open Journal of Philosophy is out. Jonathan Allen Green (Northwestern): Hume's “False Philosophy” and the Reflections of Common Life. From Purlieu, Jared Bly (North Texas): From Counterfeiting to Convalesence: An Essay on Nietzsche's Coinage; Jesus Zamora-Bonilla (UNED): Positivism is a Humanism (A Liberal Manifesto); and an interview with J. Baird Callicott, a foundational thinker within environmental philosophy and ethics. From the latest issue of Plato, Georgia Mouroutsou (Humboldt): The Allegory of the Cave: The Necessity of the Philosopher’s Descent; Satoshi Ogihara (Tohoku): The Choice of Life in the Myth of Er. From The Philosopher, Jim Danaher on Plato’s Cave and the bicameral brain. Cambridge University’s Philip Allott on first understanding Plato's Republic. A review of Virtue and Politics: Alasdair MacIntyre's Revolutionary Aristotelianism. Julian Friedland on why philosophy is not a science (and more). From the Journal of Nietzsche Studies, a review of books on Nietzsche. A look at how Averroes’s writings on Aristotle shaped Western philosophy as we know it. 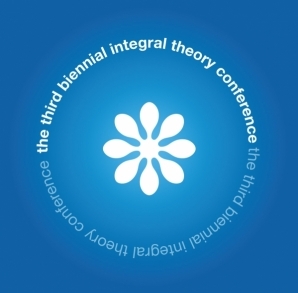 The 2013 Integral Theory Conference: Call for Papers! Good news . . . . this was in my mail yesterday. As near as I can tell, however, the MetaIntegral Foundation website (Sean Esbjorn-Hargens' new venture) is not doing a whole lot of anything other than being a marker. MetaIntegral Foundation is pleased to announce our call for papers for the 2013 Integral Theory Conference: Connecting the Integral Kosmopolitan. We are proud to be launching in conjunction with our conference partner, Integral Institute, and our Diamond Sponsor, Integral Coaching Canada. We are also extremely pleased to announce that two of the planet's most prominent integral thinkers, Roy Bhaskar and Edgar Morin, will keynote this year's event! Our own Sean Esbjorn-Hargens will offer a third keynote address, introducing conference participants to an exciting new "meta" framing of Integral Theory as well! The conference will take place in San Francisco, California on July 18 - July 21, 2013. Pre-conference workshops will happen on Thursday, July 18, and the main conference from Thursday evening, July 18 to Sunday, July 21, 2013. The call for papers details three categories of submissions: workshops, presentations/papers, poster presentations -- as well as deadlines for submission. Please click on the following link to download the call for papers. Note: Registration information will be announced soon via email. Long-time readers of this blog know I am a huge fan of crows and ravens - these corvids (along with some parrots) are smarter than many primates and nearly all other mammals. A Murder of Crows is a great documentary on the intelligence of crows. Although cultures around the world may regard the crow as a scavenger, bad omen, or nuisance, this bad reputation might overshadow what could be regarded as the crow’s most striking characteristic – its intelligence. New research indicates that crows are among the brightest animals in the world. A Murder of Crows brings you these so-called feathered apes, as you have never seen them before. Though Vogel teaches “core” courses in the history of philosophy (Ancient, Modern, American, and 20th century Continental thought) and ethics (both theoretical and applied), he takes special pleasure in creating seminars that build bridges between speculative questions and everyday moral issues, like PHI 232: Tolerance, Intolerance and the Intolerable; PHI 233: Freedom of the Will and Moral Responsibility; PHI 235: Evil; and PHI 290b: Moral Disagreement and Moral Truth. Lawrence Vogel is Professor of Philosophy at Connecticut College where has taught since 1989. He is author of The Fragile 'We': Ethical Implications of Heidegger's Being and Time (Northwestern University Press, 1994) and editor of a volume of Hans Jonas's later essays, Mortality and Morality: a Search for the Good after Auschwitz (Northwestern, 1996). His more recent publications reflect his special interest in Heidegger's Jewish students -- especially Jonas, Hannah Arendt, Emmanuel Levinas and Leo Strauss -- and their responses to the legacy of their teacher. 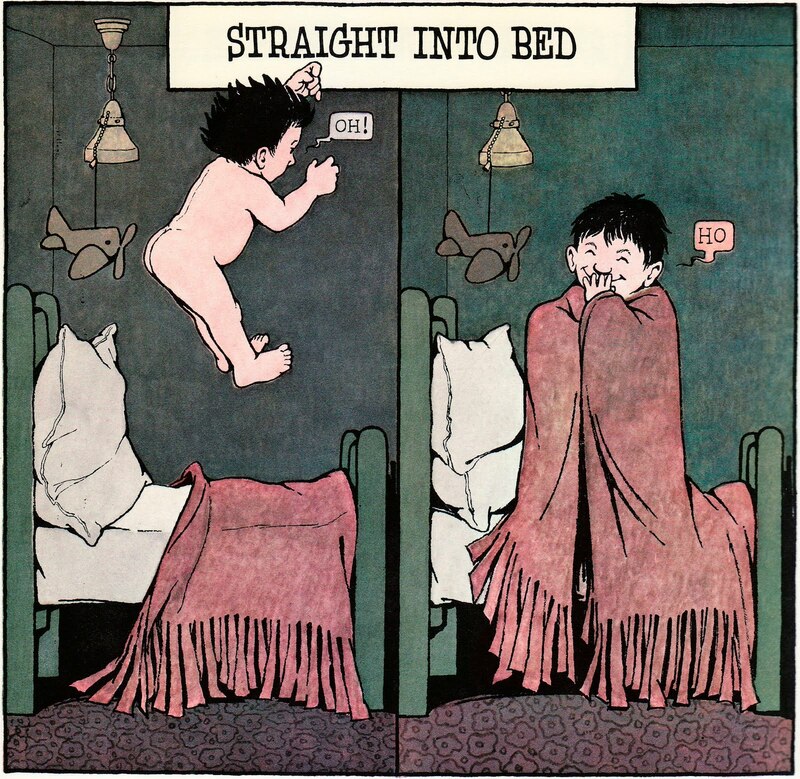 In honor of the passing of Maurice Sendak, an animation of one his most controversial books. This was posted at Open Culture. By now you’ve heard the sad news. The beloved children’s author Maurice Sendak died yesterday at the age of 83. Of course, he’s best remembered for his classic tale, Where the Wild Things Are (1963). But some readers may hold a special place in their hearts for his 1970 picture book, In the Night Kitchen. It’s a surreal story that was named one of the Outstanding Children’s Books of 1970 by The New York Times. It’s also a story that stirred up some controversy. 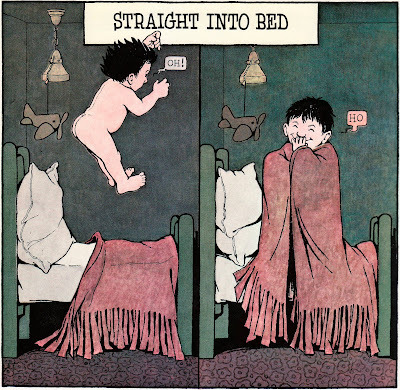 At points in the illustrated book, the three year old protagonist appears naked, shocking some critics and readers. These days, you’ll find the book ranking 25th on the American Library Association’s list of the 100 Most Frequently Challenged Books of 1990-2000. In 1980, illustrator Gene Deitch got beyond the controversy and produced a five minute, faithful adaptation of In the Night Kitchen. It appears above, and it’s now rightfully added to the Animation section of our big collection of 475 Free Movies Online. Maurice Sendak’s Fresh Air interview recorded last September was extremely poignant and worth a listen. Art Spiegelman (Maus) visited Sendak in 1993 and created a great illustration of their meeting in The New Yorker. The Mind & Art of Maurice Sendak: An insightful video sketch recorded last year by the Tate Museums. Sendak on Death (And Life). From documentary by Spike Jonze and Lance Bangs. From 4AD Sessions, a 4-song live set of songs from the new Mark Lanegan Band album, Blues Funeral, which came out back in February. I've been a Lanegan fan since the early days with Screaming Trees, but especially since his first two solo albums. This is his best work since the early solo albums. 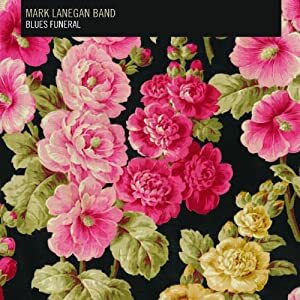 Following the release of Blues Funeral back in February, Mark Lanegan Band have recorded four songs for the thirteenth installment in the 4AD Sessions series. Pull Studios in Manhattan's Hudson Square played understated host to a session that leans heavily on Mark's indelible voice and undeniable presence, as well as the intensity and precision of his band. Filmed during a break in rehearsals for a New York City show that was to herald the release of the album, the session captures a band fully sharpened and itching to hit the road (US dates begin May 10 and are listed below). Tearing through four stand-out tracks from Blues Funeral, the performance ripples with a quiet fury that will be familiar to all those who’ve followed Mark over a career spanning more than two decades. Backed by a band as skilled as Mark is charismatic, the ambitious range of tracks such as ‘Harborview Hospital’ sit comfortably beside the barely concealed rage of ‘The Gravedigger’s Song’, reminding once again why Blues Funeral is such a rewarding listen. Unlike other sessions in the series in which a firmly defined visual concept was central to capturing the performance, the intention here was to strip away any studio trickery in order to allow the band to stand-alone. That this simplified approach remains so powerful is testament to the inimitable quality of the music on show and Mark Lanegan's enduring allure. Session directed by Robert Semmer - robertsemmer.com (full credits follow the tour dates). This video is from 2010, but it's still useful information - and it's from the U of Arizona, right here in Tucson. Here is the overview from the Mind and Brain series, of which series this was the final lecture (of six). Lectures were held at Centennial Hall on the campus of the University of Arizona. On April 6, 2010, Dr. Shaun Nichols, Professor, Philosophy, presented the final lecture in the University of Arizona College of Science's Mind and Brain Lecture Series. Does morality come from the emotions, or from rational thought? Philosophers have struggled with this question for centuries. Recent work in cognitive science suggests that emotions play a critical role in the normal ability to think about morality. Studies indicate that psychopaths have a deficient understanding of morality, and when abnormalities are found in brain regions associated with emotions, these same patients make atypical decisions about difficult moral problems. Emotions alone do not completely account for moral judgment, but the emotional brain shapes our models of what it is to be moral. 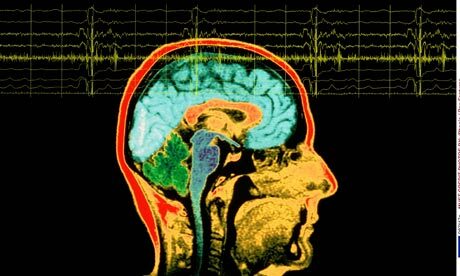 David Eagleman and Raymond Tallis - Who's in Charge, You or Your Brain? This is a cool dialogue between David Eagleman (neuroscientist at Baylor College of Medicine in Texas and bestselling author) and Raymond Tallis (former professor of geriatric medicine at Manchester University and author) on the nature of free will, or rather, on the existence of free will. 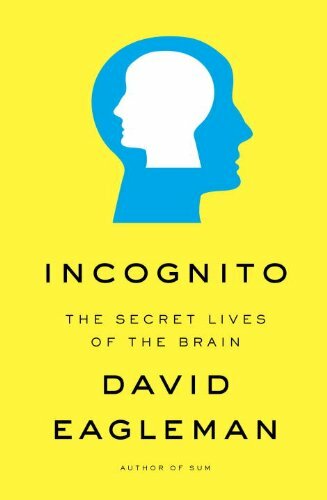 Eagleman's Incognito: The Secret Lives of the Brain, which features in this discussion, will be released in paper on May 15. Are we governed by unconscious processes? Neuroscience believes so – but isn't the human condition more complicated than that? Two experts offer different views. Over the past few years, we have noticed an increase in the number of communications regarding self-injury behaviors. In 2007, we received 696 contacts from individuals whose primary issue was self-injury. In 2011, that number nearly tripled to 2,052. The Hotline also handles hundreds of questions each year from people who are in crisis over relationships or mental health issues, and for whom self-injury is the secondary focus. Their report of the tripling of self-injury rates is in line with what I am hearing in the local community from therapists and psychiatrists. Self harm, which usually involves cutting or burning, is most common in the adolescent and teenage years, including both sexes and all socio-cultural and economic backgrounds. However, those who seek help are more likely to be teenage girls from middle or upper-class backgrounds. It's important to note that adult men and women also self-harm, but they are generally better at hiding it. Though self-injury or self-mutilation is not a suicide attempt, about 60% of those who self-harm also report suicidal ideations. Call the Boys Town National Hotline toll free at 1-800-448-3000. Boys Town offers referrals to local programs that help people with self-injury issues and can provide information on treatment options. To find out more about cutting, read the article, Understanding Teen Cutting and Self-Injury, an excellent resource that explains self-injurious behavior, risk factors, signs, and what to do. According to a large study on self injury conducted in 2008 by the University of Queensland, 220,000 Australians injured themselves deliberately, without meaning to suicide, in the month prior to the survey. For some people, hurting themselves is a way of coping with overwhelming psychological pain. In this program we hear about what mental processes go on behind this behaviour and we hear from a young woman who openly shares her experience of self injury in order to educate health workers about the best ways to treat people like her. Clinical Director of Royal Childrens' Hospital (RCH) Health Service District Child and Youth Mental Health Service (CYMHS). Good talk from Susan Kaiser Greenland at TEDxStudioCityED. At her blog, she notes, "If there's a next time I won't sing at the end. I promise." And she gives credit for the slides "to the talented Lindsay duPont." Susan shares her insights on how children can learn practical skills to live more balanced, joyful lives. Her approach for teaching mindfulness to kids involves research-based techniques and playful activities. 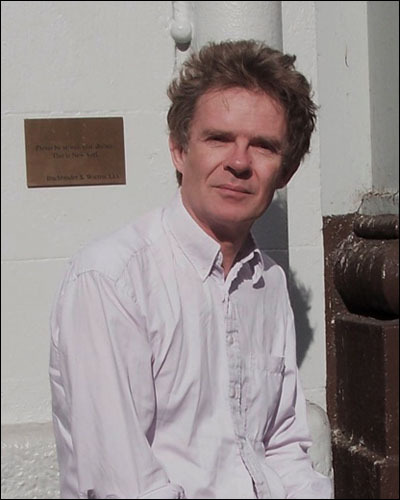 I was fortunate to see Galen Strawson lecture at the Toward a Science of Consciousness conference a few years ago - it was my first exposure to his logic-based defense of panpsychism. I wasn't swayed, but I was highly intrigued. There is a hybrid form of panpsychism at the heart of Wilberian integral theory, so some readers might find this podcast useful. Panpsychism is the doctrine that mind is a fundamental feature of the world which exists throughout the universe. Unsurprisingly, each of the key terms, “mind”, “fundamental” and “throughout the universe” is subject to a variety of interpretations by panpsychists, leading to a range of possible philosophical positions. For example, an important distinction is that between conscious and unconscious mental states, and appeal to it allows a panpsychism which asserts the ubiquity of the mental while denying that consciousness is similarly widespread. Interpretations of “fundamental” range from the inexplicability of mentality in other, and non-mentalistic, terms to the idealist view that in some sense everything that exists is, and is only, a mental entity. And, although the omnipresence of the mental would seem to be the hallmark feature of panpsychism, there have been versions of the doctrine that make mind a relatively rare and exceptional feature of the universe. Against the backdrop of our immense scientific knowledge of the physical world, and the corresponding widespread desire to explain everything ultimately in physical terms, panpsychism has come to seem an implausible view. Nonetheless, the doctrine retains some attractive and interesting features. The recalcitrance of the mind, and especially consciousness, to fit smoothly into the scientific picture recommends our consideration of them. That brief introduction is hopefully useful going into this podcast. Consciousness and Its Place in Nature: Does Physicalism Entail Panpsychism? The proud and deeply disturbed state of Arizona is set to become, I believe, the first state in the country to ban the 1992 United Nations Rio Declaration on Environment and Development (otherwise known as Agenda 21 to conspiracy theorists). "The bill is designed to protect the rights of Arizona citizens and prevent encroachment on those rights by international institutions. We have three branches of government and when one branch preempts the process through executive orders, the balance of power is lost in the process. It is that simple -- no more, no less." The Daily Kos is covering this story with the decidedly snide and dismissive tone it deserves - it's worth checking out for the laugh-factor. On a more serious note, if the law is implemented, many of the functions of government would be in jeopardy of violating the new law. The state of Arizona and all political subdivisions of this state shall not adopt or implement the creed, doctrine, principles or any tenet of the United Nations Rio Declaration on Environment and Development and the Statement of Principles for Sustainable Development adopted at the United Nations Conference on Environment and Development held in Rio de Janeiro, Brazil in June, 1992 or any other international law that contravenes the United States Constitution or the Constitution of Arizona. Arizona State University has a School of Sustainability, Northern Arizona University offers a master's in sustainable communities, and the University of Arizona has an environment and sustainability portal. Interesting discussion - Dawkins is not one of my favorite people, but I do like Lawrence Krauss. If nothing else, it's a lively talk. Richard Dawkins needs no introduction. Lawrence Krauss barely needs an introduction — although we’ll tell you that he’s a leading voice in theoretical physics and the author of the recent book, A Universe from Nothing: Why There Is Something Rather than Nothing. (We recommend watching this lecture to get familiar with his work.) In February, the two scientists met up at Arizona State University and spent two hours in a freewheeling conversation, touching on evolution, cosmology, religion, and other topics. They spoke before a packed house, but Shirley Films was good enough to post the video online, and you can watch it above. Another conversation — this one recorded at The Australian National University on 10 April 2012 — can be viewed here. The guest on this week's All in the Mind (from ABC Radio, Australia) is Richard Davidson, author of the new book, The Emotional Life of Your Brain: How Its Unique Patterns Affect the Way You Think, Feel, and Live - and How You Can Change Them. Davidson is a pioneer in the study of emotions in the brain, and he is a frequent participant in the Dalai Lama's brain science and Buddhism conferences, as well as working with Roshi Joan Halifax in her Zen Brain series at Upaya Zen Center. 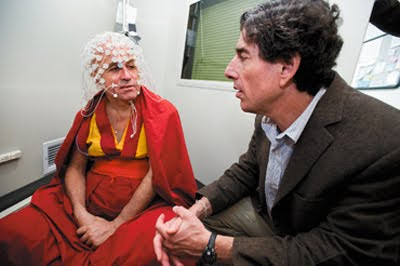 Pioneering neuroscientist Richard Davidson deepens our understanding of the mind-body connection. He’s identified six unique emotional styles and explains the brain chemistry underlying them. He explains that there are simple strategies and interventions which we can use to change our emotional styles. He believes one effective example is through mindfulness meditation, after studying the brain scans of people who practice it.